When you grow squash in the garden, you usually have an abundance of it. In the South, where we know how to cook a casserole, this is a great problem to have. 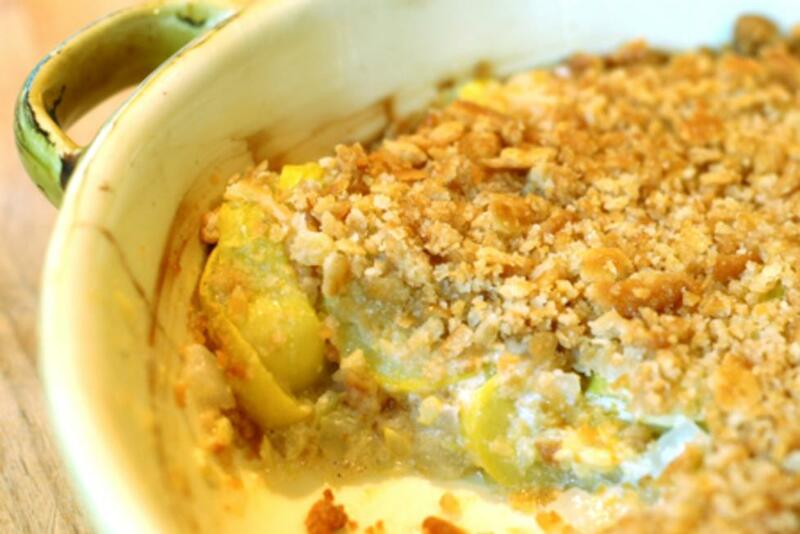 This squash casserole recipe is sure to put a smile on everyone&apos;s face. Preheat oven to 350 degrees. Steam (or saute) squash and onion until soft. Drain excess water and divide cooked squash among two greased 8 x 8 baking pans or one 13 x 9 baking pan. Smash squash with the back of a fork or potato masher (it doesn’t have to be mush, just a little smashed). In another bowl, whisk together butter, eggs, Parmesan, cheddar, mayo, and salt and pepper. Divide and pour over squash in baking pans. Divide and sprinkle crackers (or breadcrumbs) over the top of the casserole. Bake at 350 degrees for 20-25 minutes until cooked through and topping is browned.